Each ministry site distributes hygiene items. 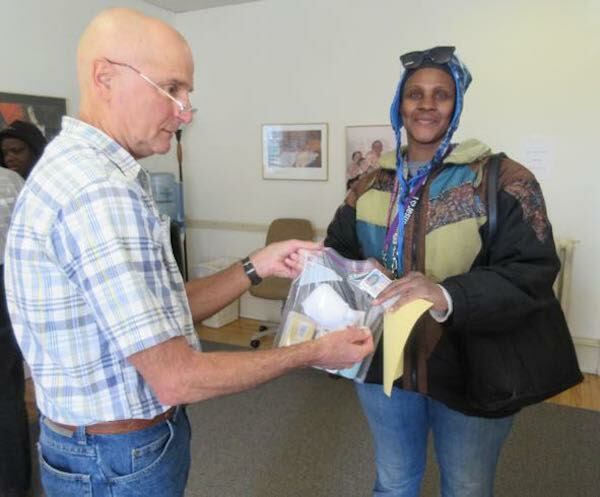 The St. Ben’s Community Meal site also provides assistance with bus tickets to medical appointments, traveler’s aid assistance, co-pays for necessary prescriptions, hair-cuts, a shower program, eye glasses, birth certificates, IDs, and GED tuition assistance. The House of Peace provides direct help to guests needing support with family issues.